Designed for competitive outdoor players who participate in a variety of weather conditions. The KOB All Weather ball features a Cordley PU Composite leather cover. 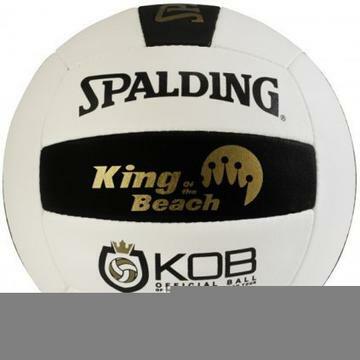 Official Ball: Spalding/King of the Beach events throughout North America. Cover Material: Ultra-durable All Weather Cordley PU composite leather cover for ultra durability. Construction: Stitched 18 panel construction provides ultimate feel and control. Recommended Play: Ideal for competitive outdoor play in any conditions.